10 Most Common Electrician Interview Questions - Ready to Answer? There’s a bright future for the men of the craft. 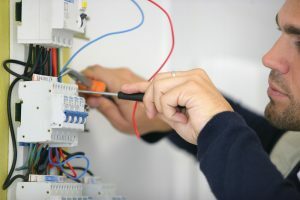 The demand for electricians is growing each year, and unless artificial intelligence replaces the position of skilled craftsmen, you will always find some vacancies to apply for. What is more, job interviews for electricians belongs to easier interviews. Businesses still trust the schools (at least schools of trade). Once you have your certificate, or your associate’s degree, or once you successfully completed the apprenticeship program, they won’t doubt your readiness for the job. Bearing this in mind, you should get ready mostly for personal and behavioral interview questions–questions that target your personality, motivation, goals, and attitude to work. You may get a few simple technical questions as well, just as a brief test of your electrician skills… Let’s have a look at some questions. Why electrician, and not some other job? Tell us about the last three defects you repaired/last three installations you performed. If we hire you for this electrician position, what will be the first thing you do in your new job? You apply becasue you enjoy doing what electricians typically do. Refer to your past experience, or even to your childhood, when you enjoyed repairing stuff and making your own toys. Show some passion for the job, and ensure the hiring manager that you do not apply for this job just becasue you completed the training program. You apply because you really want to work as an electrician (or at least that’s the impression they should get in an interview with you). Oppositely, you should say that you plan to walk around the building, searching for defects, as well as for areas for improvement. You can even say that when there won’t be anything else to do, you’ll study the newest trends and equipment, trying to learn how to improve the safety of the workers, or how to improve the cost efficiency of electrical systems at place. In reality, two scenarios can transpire in your job: Either there will be a lot of work every day, and you will simply repair defects and install new power equipment on the go, or you will really sit in your office and drink coffee–since there won’t be much to do. Once you interview for the job, however, you should tell them what they want to hear. Whether it was writing or lighting system, large motor or a simple switch, you should talk about your work with enthusiasm. Your answer to this question helps them to understand your real level of experience, and it doesn’t really matter if you repaired things at job, school, or at your home. Try to speak in a simple language, so they understand what you actually did, and say why it was important to perform the repair/installation/check. Show them that you see a meaningful purpose in your job, and not just a blunt routine. Once a company hires a good electrician, they hope to keep them on board for many years to come. And as you know for sure, there aren’t many career growth opportunities, unless you work in a big company (where you can become a lead electrician). One way or another, you should try to convince the interviewers that you do not plan to change your career soon. Tell them that you’ll be happy to have a job of an electrician in five years time. You can elaborate on it, saying that you hope to become even better in what you do. Alternatively you can talk about the direction you want to follow in your personal life–for example starting a family in three, or in five years time. This question is another test of your attitude to work. Will you work independently, or will we always have to tell you what to do? 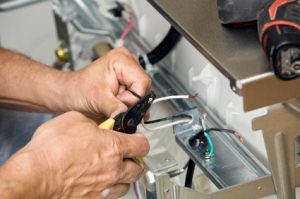 Speaking about small business environment, there is typically only one person in the company who understands how to design, install, maintain, and repair the electrical systems. That will be you–the electrician. Therefor they want to hear that you won’t wait for their orders, but will proactively look for things to improve. You can say that you will walk around the building, check all electrical systems, talk to other employees, and make a list of things to repair/improve. Every hiring manager will be happy with such an answer. A colleague got an electric shock. What will you do? What are the most common defects of PLC? Note: In some cases, the interviewers themselves won’t know the right answers to these questions–or they will know just a very basic answer they found on the internet. Bearing it in mind, you do not need to come up with any special and highly technical answers. A brief explanation of the issue, or course of action you’d take in a given scenario (such as getting an electric shock) will do the trick. One of the best ways of testing your skills is letting you do some work right in the interview. 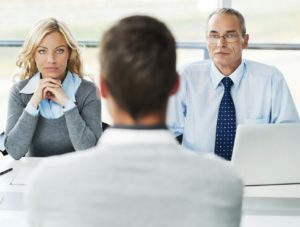 Smart hiring managers will apply this interview technique. For example, they may take you to a room with a broken lighting system, and ask you to identify the defect, and repair it (or at least suggest a way of repairing it). While this is arguably the best way of assessing your real technical skills, and readiness for the job, it is still rare and the chances that you’ll deal with a practical test in your interview are less than 10%. Interview for a position of an electrician does not belong to difficult interviews. What is more, you will typically compete with only a few people for the job, and in some cases you may be the only applicant. If you manage to demonstrate right attitude to work, motivation, and technical skills, they will hire you. At least most of the time. Practice your interview answers, and polish your technical knowledge. And do not forget to bring your diploma or your certification to the interview. We wish you good luck!